Turn To Columbia District Solar and Energy Ltd. When You Want The Very Best! Welcome to Columbia District Solar and Energy Ltd. 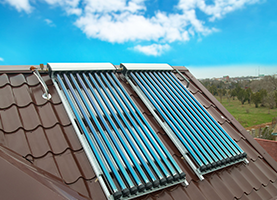 The solar energy trend becomes more popular among residential and commercial consumers. The numerous benefits of going solar drive people to make that eco-friendly and energy-saving switch. Columbia District Solar and Energy Ltd. is the authority in providing solar power to Castlegar, BC clients. 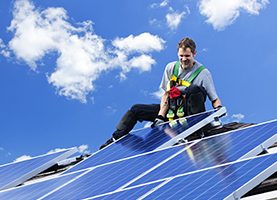 Our company is committed to offering solar integration to homes, offices, and commercial and industrial facilities. We make our products ideal for all types of budget while ensuring excellent quality and long-term functionality. Electricity production from solar energy allows you to use electricity to power up your cooling or heating systems without spiking up your bills. We seamlessly integrate solar power into your electrical system through innovative and high-technology tools and processes. Our team efficiently installs the most advanced photovoltaic or PV cells into the target site of the structure where they can properly function and generate electricity. Keep us in mind if you need solar installation and integration solutions whether in urban or remote locations. We serve different clients in varied trades and settings from households to schools, communities, as well as equipment such as water pumps and telecommunication grids. 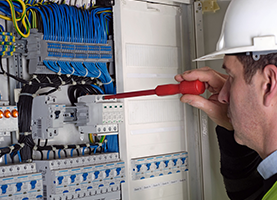 Most of our products work with the use of grid-connected systems. Rural communities that are not yet reachable through conventional electricity benefit a lot from using solar powered alternatives. Electricity consumption is one of the top factors that affects your financial expenditures. Using alternative solar energy for electricity consumption is environmentally friendly because it prevents using non-renewable resources such as fuel and gas which also emit air pollutants that continuously destroy the ozone layer. Columbia District Solar and Energy Ltd. is the expert in solar power integration and maintenance solutions. Leave a message for your inquiries now!